themed design, which is then fused with breakthrough technology. 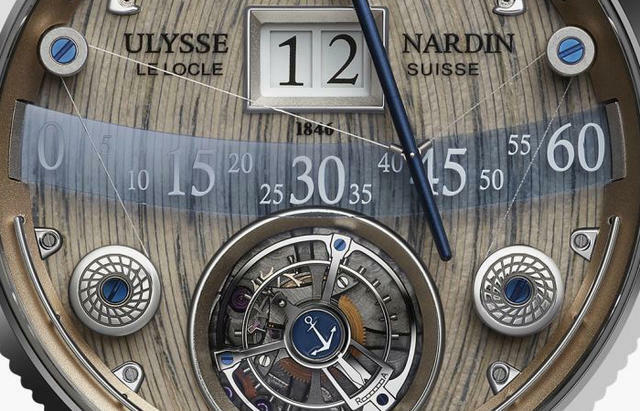 On the dial, hand-crafted wood marquetry evokes a ship’s deck, while the time display is original and creative: a boom pulled by super-strong nanowires indicates theminutes, while the hours are displayed on two concentric disks. Tim Mosso reviews the watch in Basel. the boom across an arc. The boom jumps back once an hour, its speed regulatedby a purpose-designed retrograde mechanism. The nanowire is made ofpolyethylene Dyneema® Fiber, a material that is used in ship’s rigging and is manytimes stronger than steel. 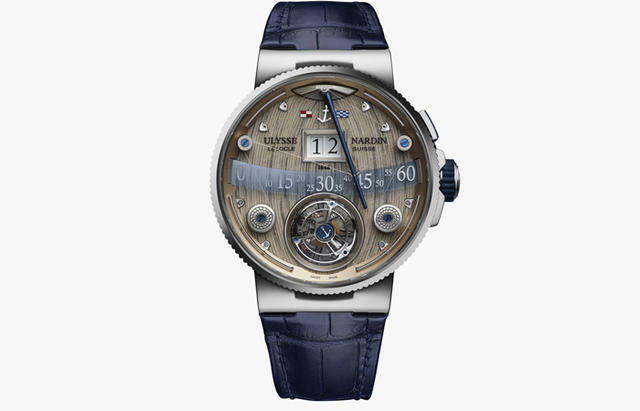 tourbillon with manual-winding movement, contains 469 components and oscillates at a frequency of 3 Hz. Despite the considerable power requirements of the boom display, the movement offers optimal precision and a generous power reserve of over 48 hours. A first barrel is devoted to the time-telling mechanism; a second barrel supplies power to the complication. Border detailing and ornamental wires that adorn the top of the dial offer further subtle references to nautical design.